All eyes are currently on Portuguese superstar Cristiano Ronaldo after he bagged an unbelievable hat-trick last week. 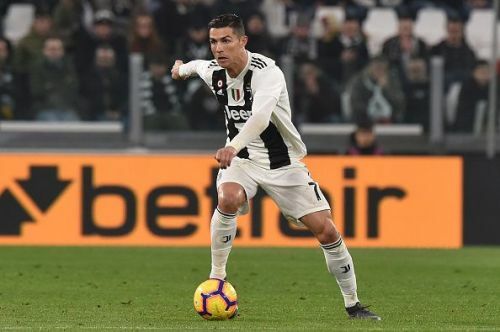 His exploits helped Juventus overcome a 2-goal deficit against Atletico Madrid and qualify for the quarterfinals of the UEFA Champions League. The attacker was snatched by Juventus from Real Madrid during the summer transfer window in order to strengthen the Bianconeri's chances of claiming Europe's elite trophy this season. And he has stepped up to justify the move, silencing all the doubters with his stunning display last Tuesday. Following that performance, many are tipping the Portuguese to go all the way with his new club in the Champions League this term. With a clash against Ajax up next in the quarterfinals, Ronaldo is well placed to make history once again. Cristiano Ronaldo's greatness in the UEFA Champions League cannot be overstated. The Portuguese is undoubtedly the greatest player in the history of the European tournament - courtesy of his unbelievable performances and unprecedented achievements in the competition during the past few years. The former Real Madrid winger is the all-time highest scorer in the Champions League, with a whopping 124 goals to his name. He has finished as the top scorer of the tournament on 7 occasions, including the last 6 consecutive years, and he is one of the few superstars to have won the competition with multiple clubs. Ronaldo recently helped Real Madrid complete their record of 3 consecutive Champions League triumphs last season, raising his tally to 5 trophies - to go with numerous other records he already has to his name in the competition. If there is anyone who could lead his team to win the European tournament, then his name has to be Cristiano.